These past few days have been the birthday and anniversary of my sweet baby Chase dying. The last few days have been difficult. In fact... the whole month of March has been difficult. 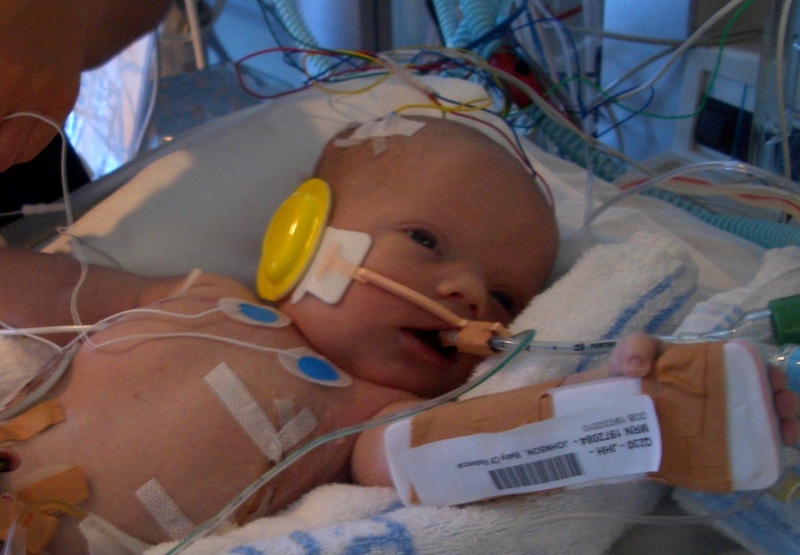 Most of you will know that On the 21st March 2010 my son passed away. My Quilting addiction and blog started because i needed an escape to help me get through each long day. Each day is difficult. And as time goes by I keep thinking it will get easier. Some days it does, i feel like i will survive and that although i desperately miss my little boy.. i have so many things to be grateful for and live for. Our family zoo trip for Chase's Birthday... and my 32 week preg belly. But then there are days where I often sit and wonder if i will survive... Why does it hurt so much. Why the death of a loved one is so difficult to deal with. Especially the death of your child. Why it affects every part of you. Why it changes you. We were eagerly awaiting a new little baby to come into our family.. only to have to say goodbye to him much too soon. For those of you who have lost a child, know the incredible pain that becomes apart of you. Part of your daily struggle, part of the new and different you. So, Last year with the anniversary approaching, we decided to go on a family holiday so that we would all be away together and help ease the anxiety...This year we spent the weekend together.We went to the zoo.. I really miss him, but I am grateful for the knowledge and comfort i get from my beliefs. That one day we will be together again. That we are sealed together and will be a forever family..
Bec i've been thinking and sending love to you, Trav and the kids over these few days. The pain i know not what you feel, have felt and still endure! I have no right words other than i'm sorry you don't have your sweet little Chase with you! My thoughts and prayers are with you and your family. I have a little girl of my own (1 year old on Sunday). It makes my heart break to think of any parent losing their child. Anything I could possibly say would sound trite, so I will just say that my heart goes out to you. Sending Big Hugs to you and your family Bec. Chase's flowers are just beautiful. What a lovely gift Heavenly Father gave you - and what a great sacrifice and service you did for Him - Allowing little Chase to come, get his body, and not have to endure this physical life. His sweet spirit is pure and preserved, and waiting for you! Always remember what you believe, and lean on Father for strength. I can't imagine what you've suffered - but I am glad you have your testimony. You'll be in my prayers! Sending prayers to you and yours.. I can't even imagine your pain and how you will ever move forward from this loss. Knowing that your faith has sealed you as a family must bring great comfort. I'm so sorry for your tremendous loss. Saying prayers for you and your family tonight mama. I have no words. I can only say I am so sorry for you loss. You little family is beautiful and I'm sure Chase is smiling down on you from wherever he is. Love and prayers sent in our shared sisterhood. I don't think one ever "gets over" this but I have to have hope that although one is forever changed, things get better, softer. Have faith. You are loved. I don't have the right words, but didn't want to see this and not leave a response. I am so sorry for your loss. Thanks for your honesty & courage to share your story. I know you are helping others going through their own loss. This is a beautiful post, because you express all your love for you little boy and bow it hurts not to have him with you. Those days in March must be very hard, especially as you are pregnant. I wish I could relieve your anxiety, and I'm sure the love of your family does. Oh I'm so sorry. What an awful thing to go through. We don't know each other, but I am sending big hugs your way. BIG HUGS! I love that you can tend to his grave site, I am always turned off by the fact that you can't. It is just one more way to help in the grieving process and the ease the pain, spending time at the grave site planting life. ....some things are so difficoult to accept and understand...especially when you have been loving something special like a baby and when he will just arrive he will leaving you.I can't imagine what your hearth suffered, but you could live for your family, to give them all your love.I wish you all the best,God protect you and all your family and Chase. I can't imagine your pain. My Mother had a still born & still grieves for him around his birthday but I think as the years go by her pain is less and she has found ways to come to terms with the loss and be thankful for the blessing of her 3 children and now 3 grand children. I pray that you will find ways to remember with less pain and enjoy the blessing your other children bring you. Thank you for sharing so openly with us. I am sure your journey will be a blessing to others suffering the loss of a child. All our love to you and your beautiful family. My heart goes out to you and your family. God Bless. Love you heaps Bec. Everything you do amazes me. And you are looking AWESOME - love that beautiful preggas belly. Bec - Your words hit me like a truck... Thirty years ago on March 19, I lost a "Little". Even with 5 kids and now 2 grands, there is a very special place in my heart, still some tears (especially right now), and I will always miss what should have been... Two years is just a wink in time; it is still very early/raw. Much love to you - may life bring you many blessings and may the love of all those around you ease your pain. I'm so sorry for your loss. I lost my mother, my sister and my uncle, all one year apart and all within the same two week period of the year. It is tough each year. My thoughts and prayers surround you and your family and the newest one to come. So sorry. Knowing we can be together forever is our greatest blessing!!!!! I am so sorry. I can't even imagine what this must be like. Hugs to you and your family. I can't imagine the pain and grief you and your family are enduring. Take solice in the fact that you have a beautiful family and remember that you'll see Chase again in the future. He's in heaven with your other family. We don't know each other, but know of each other. My family has spent the past 7 years at the zoo, celebrating the birth of our first child who only spent 3 days with us. It is so good to see your kids smiling, and you too, on a difficult day. We had always hoped that it would be a tradition our kids would look forward to, and this year our 5 year old said, "You know what's great about Caleb's birthday? We get to go a different zoo every year." It is truly a celebration. I hope yours was, too. If you ever feel like a little comraderie, feel free to check my blog, www.wiens-world.blogspot.com (click the Caleb label), or contact me. Blessings. We don't know each other, but I know of you. Thank you for your post. Our family has spent the last 7 years celebrating the birth of our first born who was only with us for 3 days by going to the zoo. It is good to see your family smiling on a difficult day. For our kids, it has become a tradition they look forward to, which is really helpful for me. If you ever feel like a little camaraderie, feel free to check out the Caleb posts on my blog, www.wiens-world.blogspot.com, or contact me. Blessings. Yesterday would have been my granddaughter's fifth birthday. She died after 97 days on this earth. It is very heart-wrenching when you lose a grandchild, but to lose a child I can't imagine what you are going through. My heart is in such pain and sadness for you having to suffer this tremendous loss. I would be a liar if I told you it gets easier, it does not. But, it does get better because the sadness will be replaced with understanding and acceptance, memories that are never forgotten but rather shared in family and the making of new memories, happiness instead of sadness as you watch your children change almost hourly over the next several years. You will awaken some morning or come out of a "zone out" someday and you will be able to cope better, the sadness will be so much less and your joy will be in what you have brought to the living from the death of your darling son. I do hope my words help you and I know that my prayers will. Lighten the load on your heart, talk to your best friend,The Lord. I am so sorry for your loss. May our Lord comfort you at this sad time. My prayers ar with you and your family. No one could understand the heart ache you feel unless they have gone through this. My heart goes out to you and as the mom of 8, I can only imagine what you feel. At least every mother can relate to the fear of losing a child. He was so cute. So sweet. In my religion I know that we will be with our loved ones. So I'm sure you will be with him again. That is mercy. With our recent birth of my granddaughter and her having Down Syndrome I can relate to the feelings of panic and fear at a child being born when their life is at risk. Thanks for sharing your story. I'm so sorry for your loss. I have only recently started following your blog and was unaware of this. I recently miscarried for the second time in a row. My heart goes out to you and your family. I will always think of you and your family when I look out to see the Tibouchina tree flowering in our backyard. May God bless you and your family always. Praying for you. I too lost a child and my quilting came about as a result of that. My little June lived 3 weeks 1 day and some online friends I have never met in person made a memory quilt for me on her first birthday and now just over 2 years since she died I finished my first quilt and sent it to a silent auction in her memory. I too have a blog if you ever want to visit it and we can walk this grief journey together. Bec, beautiful wishes and sentiments on Chase's birthday. We are a few years further down this road (this Sunday would have been Atticus's 8th birthday) and I can say you get used to it. It doesn't get easier per se, but your life gets bigger around this black hole, and the how-do-I-survive moments spread a little further apart. My love to you and yours this month. Bec I don't know what to say other than I am thinking of you and your family and sending you prayers and a hug. Bec, I'm glad that you shared this post with us, it was lovely of you. For me, sharing makes me feel better. I can't imagine what it would be like to deal with such a loss. Big hugs being sent your way. I love reading your blog and look forward to each post. Hugs from St. Louis. You're in my prayers, my friend. my heart goes out to you & your family as you continue to deal with your life changing loss. it's great to see you pregnant, you look amazing! I'm glad you all had a fun time together and what a beautiful grave for Chase, doesn't even matter there is no headstone. You will get it when you're ready, don't beat yourself up about it. Hugs!! Sending thoughts and prayers to you and your family! And your right, you will be with him again, and just think of how glorious that day will be. When your sadness sits in just think of him sitting with Jesus looking down on you and your family with a big smile for you. I didn't know about your loss and am very sorry to hear about it. I definitely understand how hard it can be. We've lost two babies this year both at 18-19 weeks due to incompetent cervix. Not a day goes by that I don't ache for them and wish that I had my boys with me. Somehow I still manage to function and it amazes me. Many hugs and good wishes for you guys, one day all of us who have lost children will be reunited and it will be a glorious day. I just happened upon your blog today and found this post. I am so so sorry that you had to go through loosing a little child in this life. I can't even imagine what that is like or what you have gone through. He was such a beautiful baby. My little brother passed away last month unexpectedly at the age of 15. Even though we have the gospel and know the things we know, loss of a loved one is still hard. I am so grateful, like you are, for eternal families. It makes loosing a loved one bearable knowing we will be reunited with them soon. Dear One, You'r sweet son is beautiful. I know you are missing him, but what comfort we have in the Gospel. You will be able to be with him again. He is your angel and I am sure he watches over you and his eternal family.